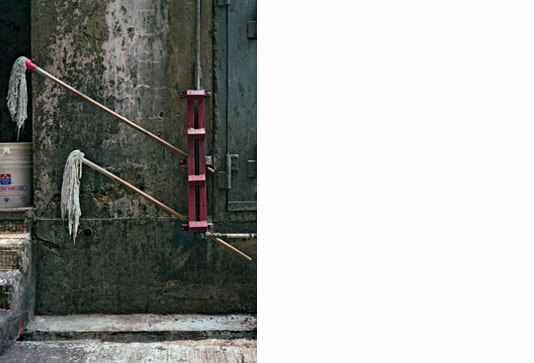 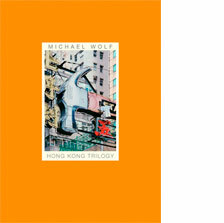 Even after 20 years, Michael Wolf has yet not seen enough of Hong Kong´s rich vernacular culture. 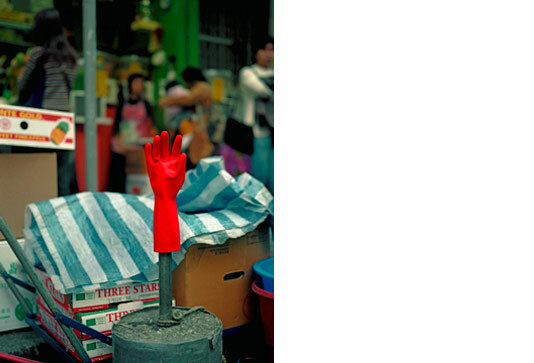 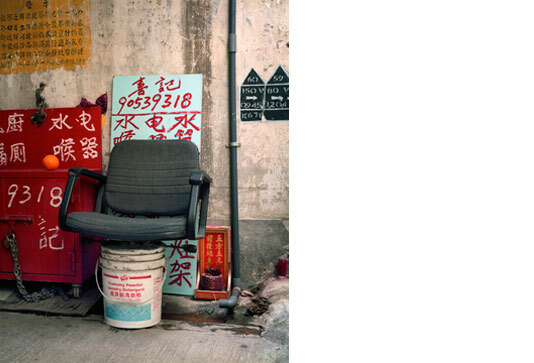 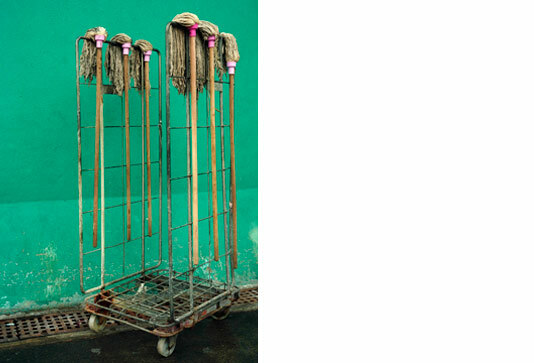 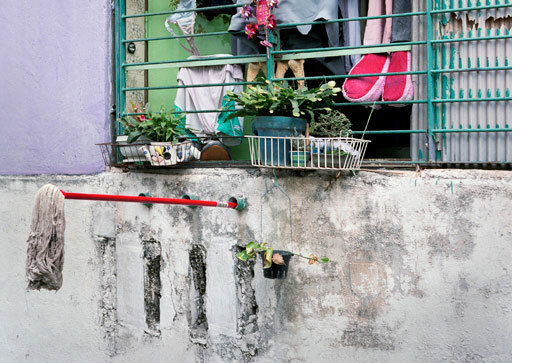 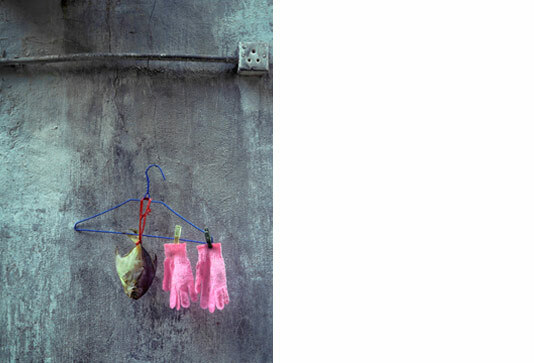 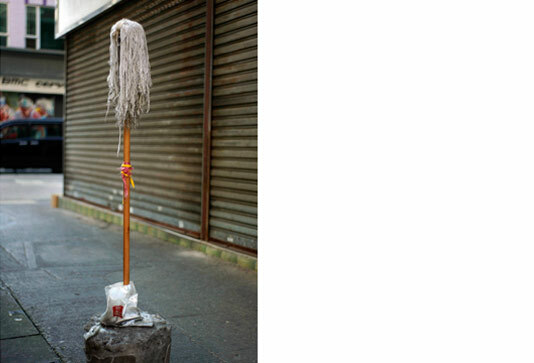 In his new book ›Hong Kong Trilogy‹ he thanks the workers who build their elaborate roadside installations with mops, gloves, carts, chairs and the like in alleys and side streets. 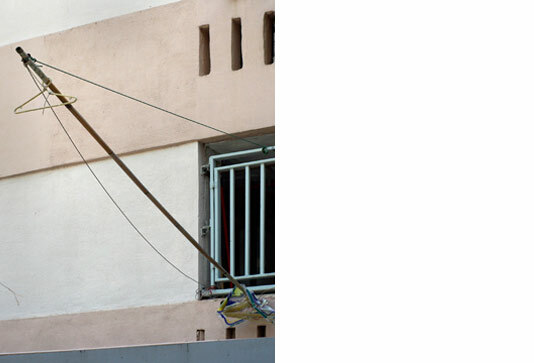 Ingenuity, talent for improvisation, lack of space, necessity and chance shape ludicrous temporary sculptures - chaotic, individual and above all useful. 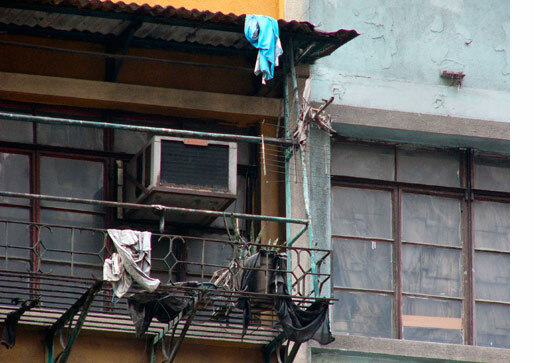 Also magical winds and mighty typhoons leave visible traces when they spill pieces of laundry onto power lines and billboards, window sills and projections. 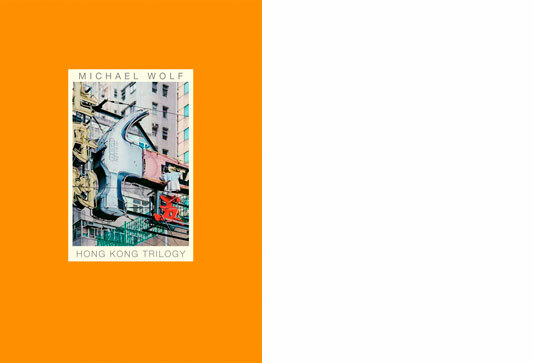 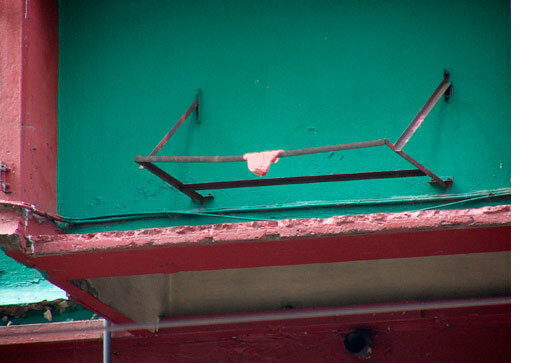 With ›Hong Kong Trilogy‹ Michael Wolf has created another monument for the breathless untidy everyday culture of his beloved city.